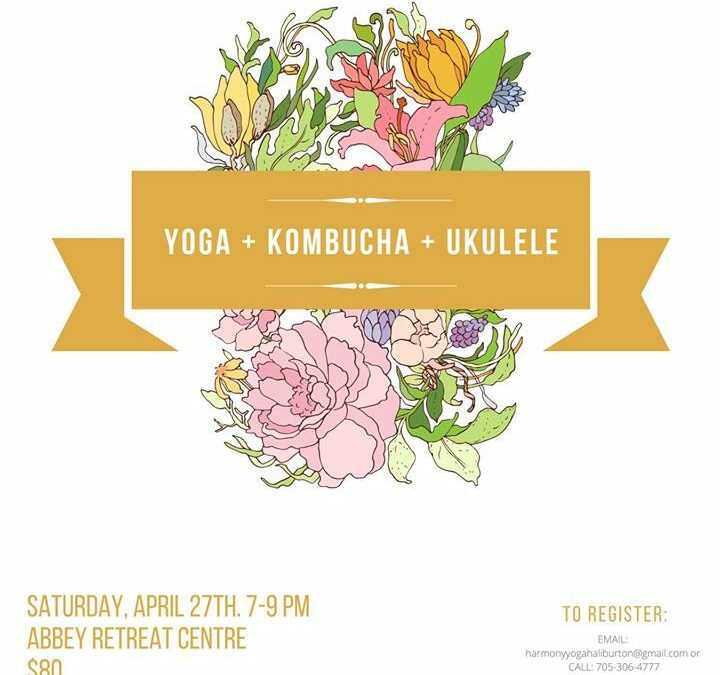 Join us for an evening of Yoga, Kombucha and Ukulele at the Abbey Retreat Centre. We will start our evening with a gentle yoga practice to open and prepare the body for playing the Ukulele with Amanda Rico Yoga and then follow up with some delicious Kombucha and a lesson from Haliburton Guitar Studio to learn how to play the Ukulele. You get to keep your Ukulele at the end of the evening. Please contact Amanda Rico at harmonyyogahaliburton@gmail.com or 705-306-4777 to register.